Mediaset España has posted solid full year 2016 results, with total revenues of €992 million, up 2.1%, and EBITDA of €241 million, up 8.3%. The company has benefited from continued strong growth of the Spanish economy, with the TV advertising market growing by 5.5% in the course of the year. Mediaset España had a TV market share of 43.3% in 2016, making it the leader in commercial TV. Advertising revenues for the group’s seven channels grew by 5.2% to €931 million. Spain remains a primarily linear market, with linear TV accounting for 98.7% of the total daily average TV consumption. Average daily TV viewers number 7.1 million. Average daily TV consumption was 233 minutes, of which only three minutes per person per day was non-linear. 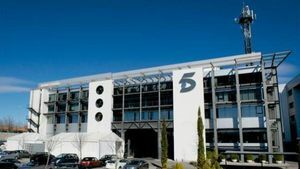 Analysts at Berenberg gave Mediaset España a ‘hold’ rating, predicting 4% growth in the TV advertising market this year, reflecting a slight slowdown in GDP growth.